We believe that content creators should be able to realize the full quality of their work without sacrificing flexibility and attraction up-time. That’s why we engineered the A/V Binloop Uncompressed with the longevity of a solid-state design, stunning uncompressed quality playback, and the ability to achieve any resolution. 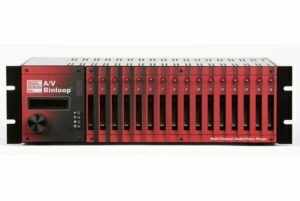 The A/V Binloop Uncompressed provides up to 8 channels of 2K (2048×1080) or up to 2 channels of 4K (4096×2160) high-quality uncompressed video playback. These channels can be played independently from one another, or grouped together for frame-accurate synchronous playback. 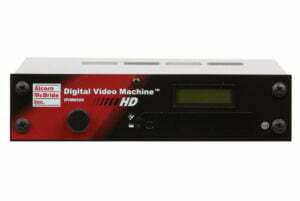 It can be used as an A/V source for one show or can be easily scaled for the grandest of attractions. 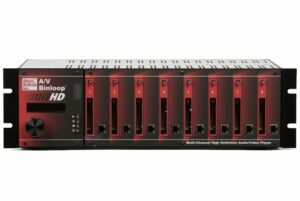 It can playback uncompressed frame files with a quality as high as 4:4:4 at a rate up to 120 frames-per-second and even offer deep color with support for 10-bit Rec.2020 color space. 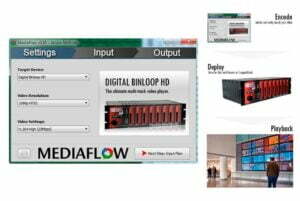 Unlike most commercial video devices, the A/V Binloop Uncompressed provides a native resolution source to each display device and can perfectly synchronize multiple display devices. This makes it the perfect solution for video wall and blended projection applications because it eliminates the loss of quality due to stretching commonly seen in traditional video wall controllers or video processors. For large applications, it’s easy to sync multiple units using the product’s Genlock input feature. 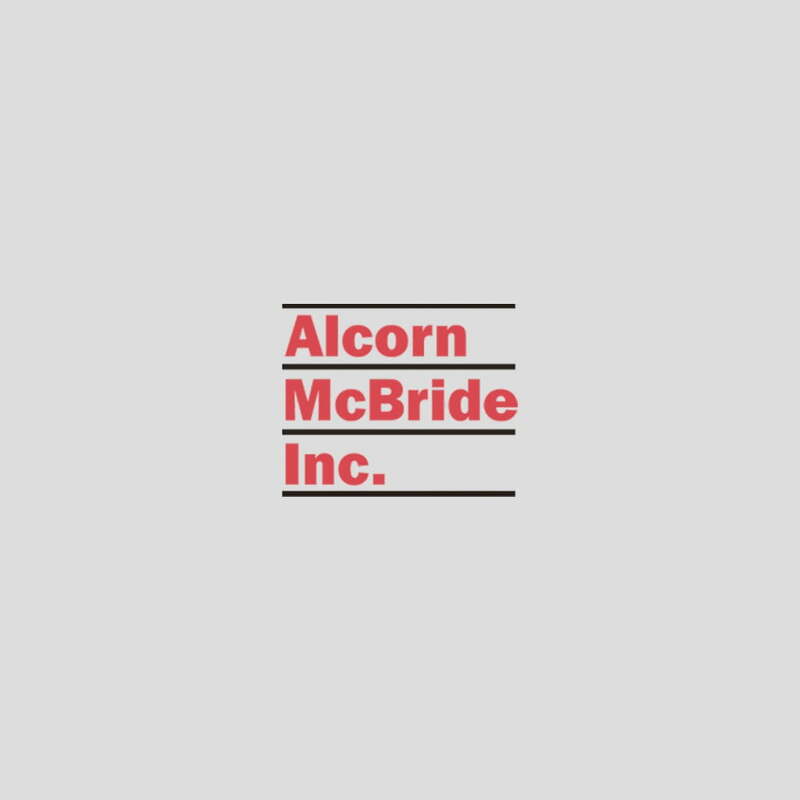 Experience the ultimate in video playback with Alcorn McBride reliability. The bundles listed below include the A/V Binloop Uncompressed cage, DBAP5 controller card, and between 2-8 reproducer cards. SSD cards are required for each reproducer and are sold separately. Video playback is provided by the REPRO2KU reproducer card. 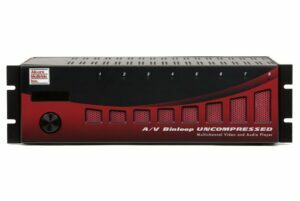 The AV Binloop Uncompressed can hold up to 8 of these reproducer cards. 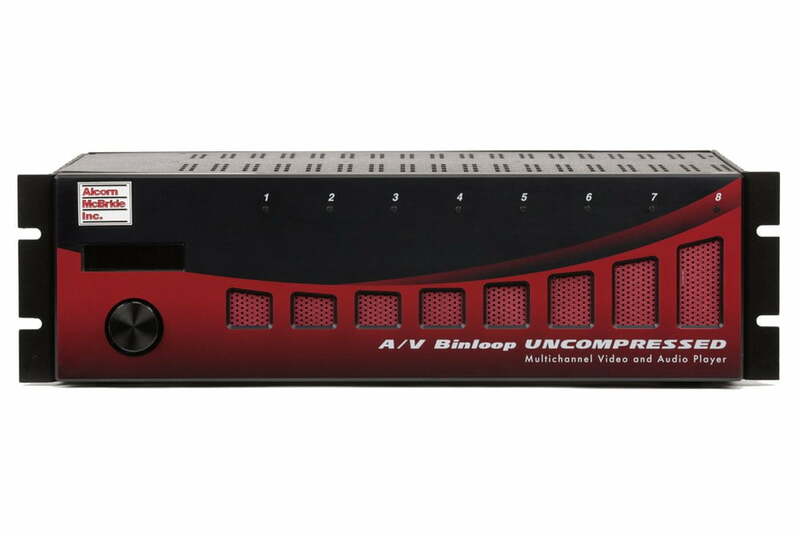 Configure and test your AV Binloop Uncompressed. Sets timecode operation, triggers and addresses.